^-^. . Wallpaper and background images in the Psycho-Pass club tagged: psycho pass kogami shinya akane tsunemori. 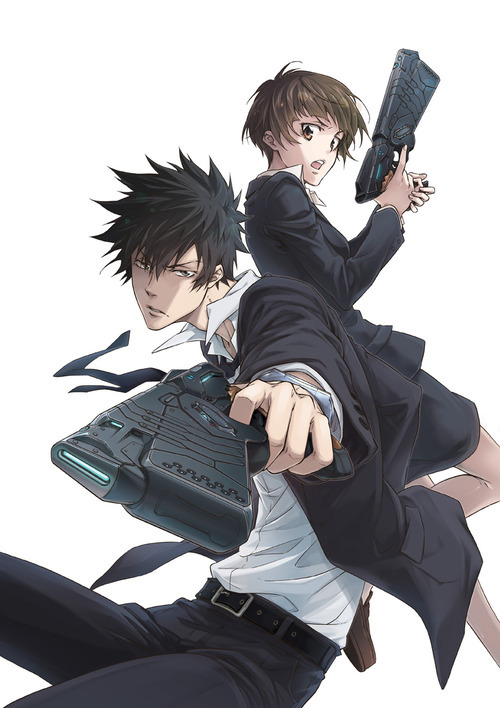 This Psycho-Pass photo might contain ゴルフバッグ, ゴルフ バッグ, hip boot, thigh boot, 上着, overclothes, アウターウェア, オーバーキャップ, and アウター.